Married: April 1, 1897 in Cambridge Ma. 2. 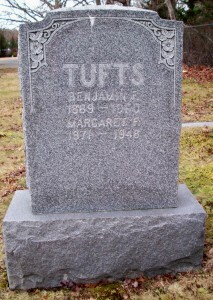 Bernice Lillian Tufts Jenkins; (July 16, 1899 – June 26, 1996); Married Frank P. Jenkins, WW l (1890 – 1950) (George C. Jenkins & Etta B. Damon); Bernice & Frank are buried in Pocasset Cemetery. 3. 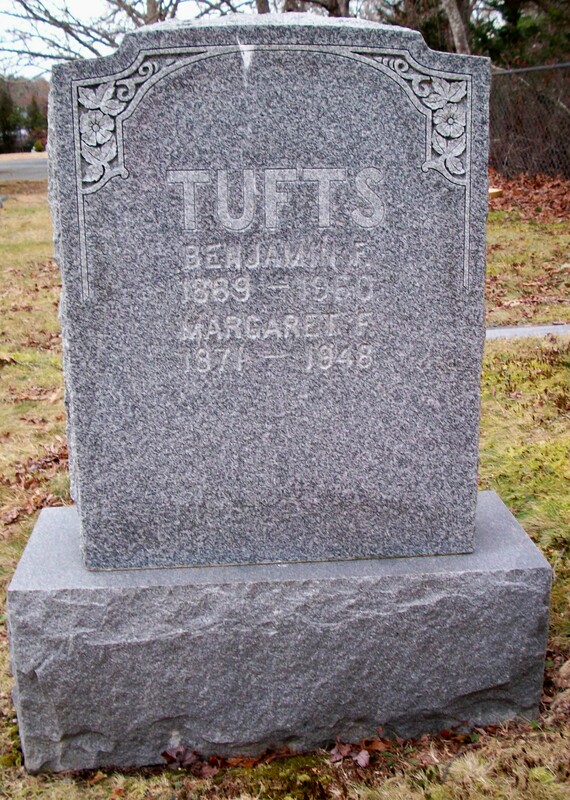 Anna Abigail Tufts Swift; (July 15, 1912 – July 27, 2004); Married George Eldridge Weston Swift (1908 – 1983) (Weston Jenkins Swift, Jr. & Gertrude Linwood Teele); Anna, George & their daughter Carol Anne Swift are buried together in Pocasset Cemetery.